Online tutoring nowadays a popular business and that’s why Learning Management System is an essential tool for tutoring business & eLearning professionals. In fact, it is the best platform for the instructors who want to share the ideas, thoughts & knowledge throughout the world. It can also be a major expense, especially if you are looking for a robust, versatile LMS that can accommodate your eLearning development needs. Fortunately, after a deep research, we’ve found 5 top & the cheap Learning Management System PHP Script that can offer you the dynamic and flexible eLearning platform at the cheapest rate. Also, it doesn’t require any kind of technical knowledge to use these scripts for your site. Yes! With the help of these PHP eLearning scripts, you can fill your site with unlimited courses, quizzes, lectures, and a lot more eLearning kinds of stuff easily. In fact, these scripts enable you to add various videos, images, audio files & many more elements in your online courses to make your learning Management system much better. Moreover, some of these LMS Scripts have the feature of creating discussion forums for spreading knowledge, even you can provide certificates to those students of yours who have successfully completed the courses via your website. Now, these are the overall introduction of every script, but to know more deeply about each product put your cursor below. But, before going through these products, consider a few more blogs which we have assembled for you. MenorahDirectory – online eLearning management system is a PHP script which is crafted for online tutoring companies. It is a platform where students can enroll themselves for different classes according to their courses and subject needs on your website. 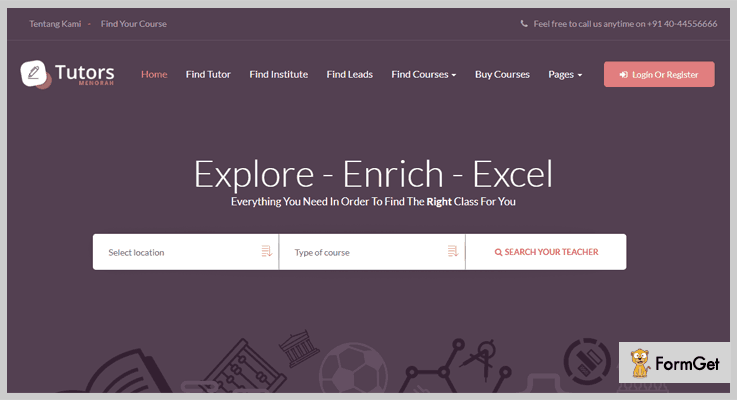 With the help of this product, students can search the tutors’ availability of different locations and can take the online classes according to their timings. All these things can be easily done via its full-featured dashboard which is available for both students & tutors. Registered tutors can upload audio/video/doc/image/Pdf files according to the courses for their students. Also, you can sell your online courses by giving URL or file as a source on your website and you can provide preview image and file as a demo for students to view the course before purchasing. There is an option where the students can post their requirements if they not get required tutor on the list. Multiple tutors can enter teaching courses along with their available timings. Separate institution level module is available, where institute can add their tutors, batches for students and manage them online. Students can book courses or classes from the institute as well. The script includes multiple payments gateways such as PayU, PayPal, Stripe, Web Money, Manual Transfer and many more. Its pricing comes under your budget. For its regular license, it will cost you $60, whereas if you want to get more advanced features of its pay $255 only. 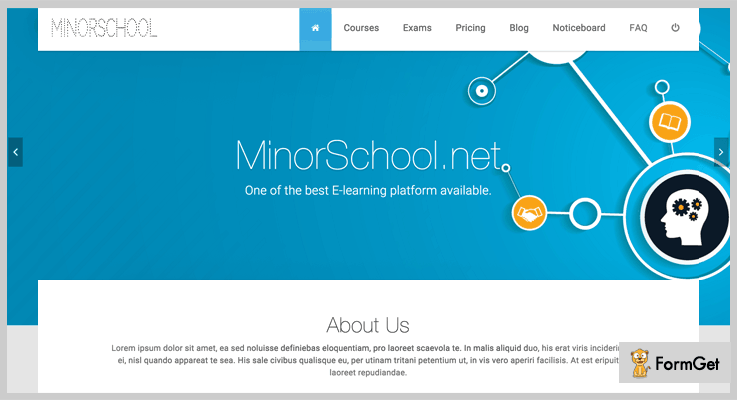 Minor School is another popular LMS PHP Script which provides you a well designed and featured rich platform where you can create unlimited courses, exams, and lessons as a video or as a documented form with its easy to use dashboard. It provides you different course options where students can enroll themselves. Exam section is also available where customers can start the examination by selecting different categories. The interesting part of the product is you can link one or more exams to every course so that students can take test and teacher/admin can view the result to monitor their progress. It provides an opportunity for the tutors to provide the courses both free and paid. You can create unlimited offers/packages on every course with unlimited features and also you can set prices along with validity period. Your students can get the certificate instantly after finishing the tests. There is a notice board section where you can set the specific period of time of every courses and exam. Integrated with PayPal payment gateway and supports 20 different currencies. This product will cost you $40 for its regular plan and $195 for its extended plan. Learning Circle is designed especially for the training centers, schools, tuition classes and all type of education business. It has a beautiful, unique and 100% responsive design that will be best suited for any kind of online website. The product comes with features like a powerful admin panel, full courses management, blogs management, users management and various more in one place. It provides forms for students, instructors, teaching assistant to make registration. The script includes email notification in order to make your customer aware of any latest courses, offers, and discounts. It has an option of visit log where you can manage and maintain every visitor’s detail who have visited on your site. Learning Circle is based on a powerful Yii2 framework which is highly extensible, utilizes modern technologies, simplifies with various security etc. For all the above-listed features, the product will cost you $37 only for its regular plan. If you want to get its all advanced functionalities then pay $225. 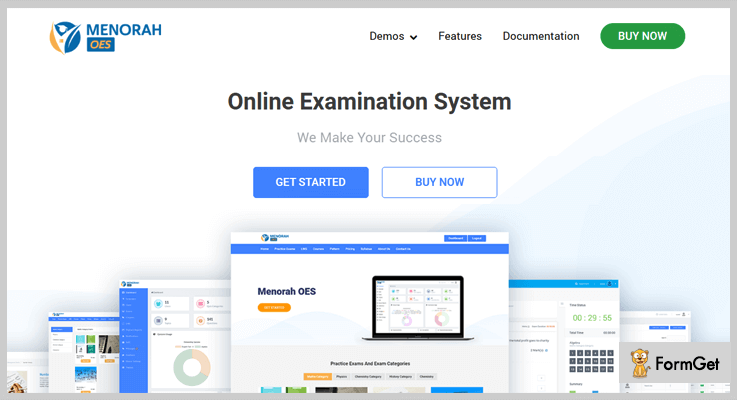 MenorahOES is an online exam software which is used to conduct exams, quizzes, tests etc. The script is best suited for college, university or any other skill development institutes. With the help of this script, you can create both free and paid exams with detailed time analysis on each question. You can also provide LMS like video portals and downloadable items to your students. Plus, you can also notify your students about their exams, new courses, results via messages. By embedding this product to your site you can add practice exams paper for the guest user without doing registration or login. It supports newsletter subscription with which you can connect with your customer for a long time and keeps them aware of the latest services. By embedding the product into your site you can provide various question banks, exam series, exam module etc. to your students. You can create multiple questions in multiple categories which will help the students to select the test accordingly. Get this feature-rich product at $60 only. Or, you can also buy it’s another plan at $195 only. Modern is an easy to use eLearning application which is used to manage any kind of educational organization. One can create tons of online courses and exams effortlessly by using Modern PHP LMS Script. 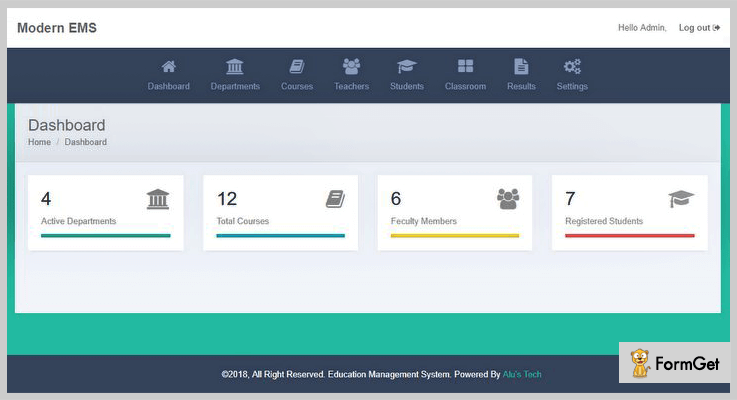 It allows you to manage total courses, faculty members, registered students details on its dashboard only. It provides an easy information assigning process where your student can easily get information about different courses. By integrating Modern PHP Script into your website, you can display the online exams result of your student on your site. You can manage and maintain class schedules by using the script. $51 is the amount which is charged for the basic services and $1004 is charged for its advanced services. These were the choices of Learning Management System PHP Script which we’ve selected here as per the user’s ratings, features and reviews. Every single product in this article comes with various features and functionalities. Through them, you can create unlimited courses, lectures, quizzes for your website. So, if you liked our post and you think I’ve left something in this article then do let us know through a comment below!